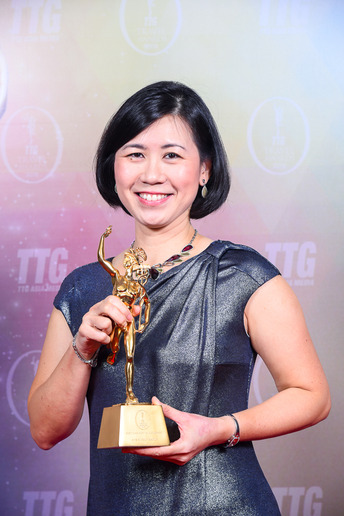 Angeline Tang, regional director for leisure, travel, and partnerships at Avis Budget Group, Asia, accepting the award. Photo courtesy of Avis Budget Group. Avis Budget Group Asia has been declared best car rental company at the 29th Annual TTG Travel Awards 2018, as voted for by readers of TTG Travel Trade Publishing’s print and online titles. The publications include: TTG Asia, TTG China, TTG India, TTG mice, TTG-BT mice China, TTGassociations, and TTG Asia Luxury. The readers of these publications – including tour operators, travel consultants, and destination management company personnel – voted for their favorite travel suppliers, which decided the award winners. Within the judged criteria, Avis Budget Group Asia came out on top for having the best products, services and facilities, being the most consistent and most reliable in delivery and having the most innovative offerings. In addition, Avis Budget Group Asia was considered to have the best agency-outreach programs, including trade promotions, marketing, training, and relationship-building. Avis Budget Group Asia recently launched a training and booking platform, Beep, a one-stop-portal for travel trade professionals. Beep aims to make the booking process simpler, more efficient and rewarding for Avis Budget Group’s valuable travel trade partners with the added benefit of all bookings made through the platform being commissionable.